Cosmological structure formation has long been recognized as a sensitive probe of fundamental physics, especially physics beyond the Standard Model, and recent years have seen tremendous progress in our understanding of structure formation, both from the observational and theoretical sides. In this talk, I will describe some of my group's work on this subject. First, I will discuss a novel method we have developed for numerically simulating nonlinear structure formation in cosmologies where traditional N-body simulations produce large errors. I'll present preliminary results of our simulations for cosmologies with massive neutrinos, and I will describe a new potential signature of neutrino mass in large-scale structure. Finally, I will describe how upcoming ALMA observations of sources from the South Pole Telescope will vastly improve our knowledge of small-scale cosmic structure, thereby constraining the physics of inflation and dark matter. In recent years, 21cm cosmology has emerged as an exciting new way to map our Universe. By using the 21cm hyperfine transition as a tracer of neutral hydrogen, one is sensitive not only to the large scale distribution of matter, but also to the astrophysical conditions of the high-redshift intergalactic medium (IGM). 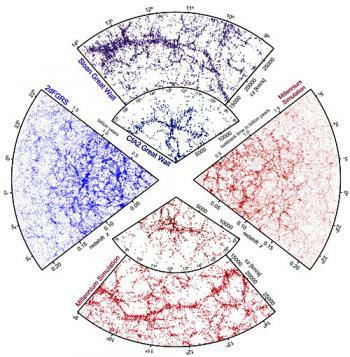 The redshifted 21cm line is therefore particularly well-suited for understanding the as-yet unobserved Epoch of Reionization (EoR), a key part of our cosmic history when the first luminous objects were formed and systematically ionized the IGM. In this talk, I will highlight recent progress in 21cm cosmology, including recent observations from the Precision Array for Probing the Epoch of Reionization (PAPER). These observations disfavor “cold reionization” scenarios, where early luminous sources did little to reheat the IGM. Along the way, I will discuss novel techniques that have been developed for moving beyond technical hurdles (such as foreground contamination) to a first detection of the cosmological 21cm signal. I will conclude by introducing the Hydrogen Epoch of Reionization Array (HERA), a recently commenced experiment that promises to make high signal-to-noise measurements of the power spectrum of 21cm emission. This will not only provide new and direct observational constraints on the EoR, but will also benefit other cosmological probes by reducing uncertainties on a key epoch of cosmic history, thus transforming 21cm cosmology from a promising theoretical idea to a practical way to probe our Universe. The exchange of baryons between galaxies and their surrounding intergalactic medium (IGM) is a crucial but poorly-constrained aspect of galaxy formation and evolution. I will present results from the Keck Baryonic Structure Survey (KBSS), a unique spectroscopic survey designed to explore both the physical properties of high-redshift galaxies and their connection with the surrounding intergalactic baryons. The KBSS is optimized to trace the cosmic peak of star formation (z~2-3), combining high-resolution spectra of 15 hyperluminous QSOs with densely-sampled galaxy redshift surveys surrounding each QSO sightline. I will characterize the physical properties of the gas within the circumgalactic medium (CGM) through measurements of the spatial distribution, column densities, and kinematics of ~6000 HI absorbers surrounding ~900 foreground star-forming galaxies that lie within 50 kpc to 3 Mpc of a QSO sightline. This analysis provides clear evidence of gas inflow and outflow as well as accretion shocks or hot outflows from these forming galaxies. My ongoing study of metallic absorbers in these fields will provide detailed information about the enrichment patterns and overall abundance of metals as a function of distance and velocity, providing a high-fidelity probe of the nature and sphere of influence of galaxy-scale outflows at high-z. I will also discuss KBSS-MOSFIRE, a rest-frame optical spectroscopic survey of more than 800 galaxies in these same QSO fields. These data provide new insight into the physical properties of HII regions at high redshift which show remarkable differences in their ionization and excitation conditions compared to low-redshift star-forming regions. These results have significant implications for both diagnostics of the chemical abundances of high-z galaxies as well as our understanding of massive stars during the peak of cosmic star formation. Sub-Neptune, super-Earth-size exoplanets are a new planet class. Though absent from the Solar System, they are found by microlensing, radial velocity, and transit surveys to be common around distant stars. The nature of planets in this regime is not known; terrestrial super-Earths, mini-Neptunes with hydrogen-helium gas layers, and water-worlds with several tens of percent water by mass are all a-priori plausible compositions. Disentangling the contributions from each of these scenarios to the population of observed planets is a critical missing link in our understanding of planet formation, evolution, and interior structure. I will review individual highlights from the diverse complement of sub-Neptune-size planets discovered to date, and present statistical analyses constraining the nature and origins of short-period rocky planets. With the suite of space-based exoplanet transit surveys on the horizon (K2, TESS, CHEOPS and PLATO) and continuing development of ground-based spectrographs (e.g., MAROON-X and G-CLEF), the pace of exoplanet discovery and characterization is poised to continue accelerating. I will conclude by describing pathways forward to identify bulk composition trends in the growing census of known exoplanets and to connect these composition trends back to distinct planet formation pathways. Although physical reality seems to be well described by the Standard Models of Particle Physics and Cosmology, there are many open questions that do not have a direct answer within this framework. An important one is why is there Matter and not Antimatter in the Universe. The conditions for a dynamical generation of the asymmetry between matter and antimatter (baryogenesis) are well known, but cannot be fulfilled within the Standard Models framework. I will explain what are the basic conditions that must be fulfilled for baryogenesis to occur, some general classes of models in which baryogenesis is realized and the possible tests of these models in the near future. Over the last decade, wide-field surveys have revolutionized our view of the Milky Way’s stellar halo and dwarf galaxy population. Much of this observational progress has been motivated by a series of apparent “crises” for our cosmological model: the missing satellites problem, too big to fail, and the apparent planar distribution of dwarf satellite galaxies. These challenges have effectively functioned as flashlights pointing us to interesting galaxy formation physics. 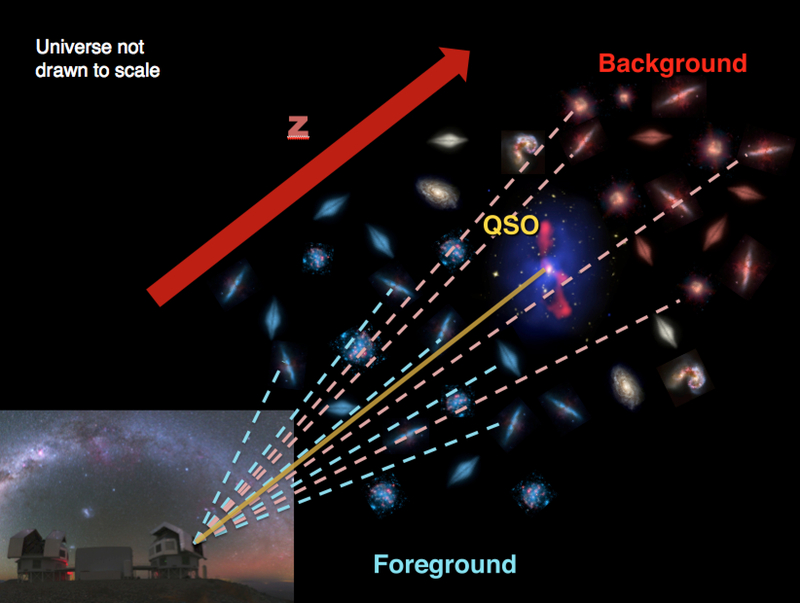 I will highlight related observational progress in our understanding of galaxy formation using near-field observations. I will then focus on the limiting impacts of observational bias and ways that current and future surveys will be used to tackle these biases. 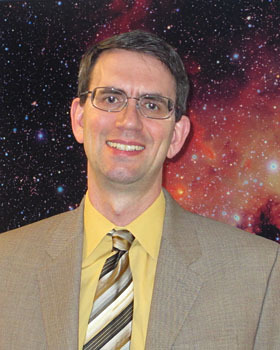 In particular, I will present new predictions for the number of Milky Way dwarf galaxies expected to be discovered in DES and LSST, RR Lyrae stars as a tool to discover dwarf galaxies in previously unexplored territory, and the use of M giant stars to map the Milky Way’s halo beyond its virial radius. The matter particle with the smallest mass, the neutrino, is also the most abundant in the Universe. 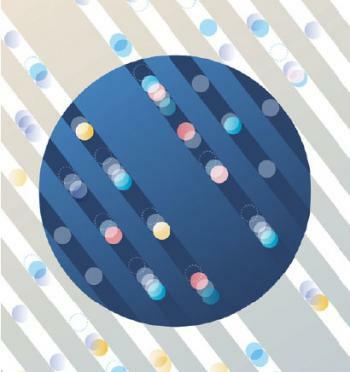 Since their discovery, neutrinos have continually surprised us. Every time we think we understand the full scope of neutrino physics, data prove us wrong. We now understand the full scope of neutrino physics and can explain almost all observations with a simple 3-flavor model. Will upcoming data from accelerators and the cosmos prove us wrong yet again? Deep infrared images from the Hubble and Spitzer Space Telescopes have recently pushed the cosmic frontier back to just 500 million years after the Big Bang, delivering the first reliable census of galaxies in what is likely the heart of the reionization era. I will discuss implications of these results for the build-up of stellar mass in early galaxies. I will then present the latest results of a large ground-based spectroscopic program aimed at using the Lyman-alpha emission line as a probe of the ionization state of the IGM at z>7. The results indicate that Lyman-alpha is strongly attenuated in galaxies at z=7-8, as would be expected if the IGM is still partially neutral. Finally, I will introduce a new approach to the spectroscopic study of galaxies at z>7. I will demonstrate that various metal lines in the rest-UV are much stronger in early galaxies than we expected. I will discuss a large new observational campaign aimed at targeting these lines in the brightest known gravitationally-lensed galaxies with the goal of providing the first constraints on the metallicity, ionizing spectrum, and stellar populations of galaxies in the reionization era. The Planck collaboration has released the results from the full mission including polarisation. The Planck space mission has fulilled its initial goal of extracting essentially all the cosmological information in the temperature map of the Cosmic Microwave Background. It has also detected the polarisation cosmological signals with unprecedented sensitivity over the whole sky. The Planck mission performances will be illustrated by some spectacular improvements in calibration and reduction of polarized sytematic effects. 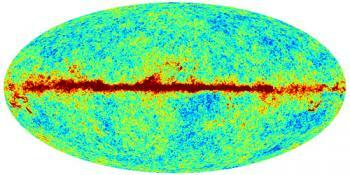 The Planck view of the polarized microwave sky will be presented. The extreme stability of the L-CDM cosmological parameters determined either from the temperature or polarization data is leading to a « standard cosmolgy model ». This includes also parameters related to the primordial universe physics. The polarised foreground emission from interstellar dust has been mapped with a spectacular accuracy. The claim for detection of primordial gravity waves from the BICEP2 team using CMB data aquired from south pole will be discussed in the light of the dust B modes signal observed by Planck and the recent BICEP2-Plkanck paper. The future of the search for primordial B modes will be discussed. 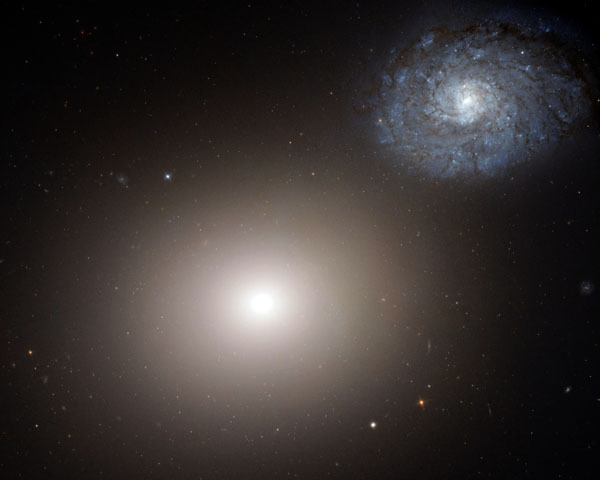 Deep exposures with the Hubble Space Telescope (HST) have provided the primary evidence that star-forming galaxies were present in the first billion years of cosmic history. Sometime during this early period the intergalactic medium transitioned from a neutral gas to one that is fully ionized. How did this 'cosmic reionization' occur and were star-forming galaxies responsible? Recent imaging of deep fields with HST's Wide Field Camera 3 in conjunction with Spitzer photometry and Keck spectroscopy has provided important new insight into understanding when reionization occurred and the role of early galaxies in the process. 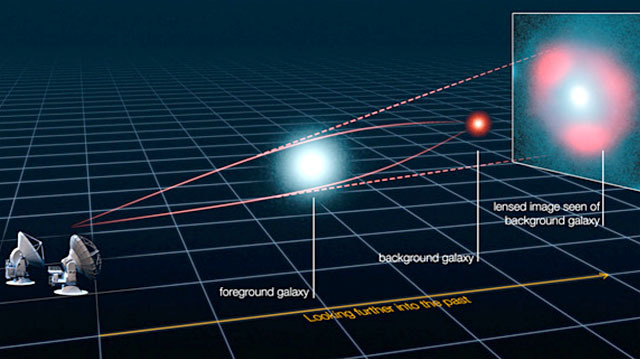 Gravitational lensing by foreground clusters is providing complementary evidence. I will review this rapid progress in our understanding of what could be considered the last missing piece in our overall picture of cosmic history and discuss the remaining challenges ahead of future facilities such as TMT, GMT and JWST. I will discuss how the acoustic oscillations that propagate in the photon-baryon fluid during the first million years of the Universe provide a robust method for measuring the cosmological distance scale. The distance that the sound can travel can be computed to high precision and creates a signature in the late-time clustering of matter that serves as a standard ruler. Galaxy clustering results from the Sloan Digital Sky Survey reveal this feature, giving geometric distances to a wide range of redshifts and producing an accurate measurement of the abundance of dark energy. I will review our recent work on the theory and practice of the acoustic oscillation method and our latest cosmology results from SDSS-III on the expansion history of the Universe. I'll give a pedagogical review of inflation and explain how its physics can be constrained by searching for "primordial non-Gaussianity", i.e. differences between the statistics of the initial curvature field in our universe and the statistics of an ideal Gaussian field. Then I'll talk about observational CMB constraints, including some new results from Planck. Finally I'll discuss future prospects for improving Planck constraints with large-scale surveys such as Euclid and LSST. The theory of cosmic inflation postulates that the initial conditions of our observable universe arose from quantum fluctuations during a very early burst of exponential expansion. The BICEP / Keck Array experiments are a series of cosmic microwave background (CMB) polarimeters specifically designed to search for gravitational waves predicted by inflation by looking for the faint B-mode patterns they would imprint on degree-scale CMB polarization. Observing from the South Pole between 2010 and 2012, the BICEP2 telescope made maps of unprecedented sensitivity at degree angular scales over 2% of the sky, In March 2014 the BICEP2 team reported a high signal-to-noise detection of B-mode polarization at 150 GHz, at a level well above typical predictions of galactic foreground models for that region of sky, and consistent with a large contribution from inflationary gravitational waves. However, later last year high-frequency results reported by the Planck satellite indicated levels of polarized emission from galactic dust potentially high enough to account for the entire BICEP2 signal. In a recently published joint analysis that combines data from BICEP2, the Keck Array, and the Planck satellite, we find that there is not currently significant evidence for a gravitational wave signal, and we set the tightest constraints yet on its possible level. I will describe our current results and the continuing hunt for inflationary gravitational waves with the BICEP / Keck Array experimental program. The idea that the early universe included an era of accelerated expansion (Inflation) was proposed to explain very qualitative features of the first cosmological observations. Since then, our observations have improved dramatically and have lead to high precision agreement with the predictions of the first models of inflation, slow-roll inflation. At the same time, there has been significant growth in the number of mechanisms for inflation, many of which are qualitatively distinct from slow-roll. 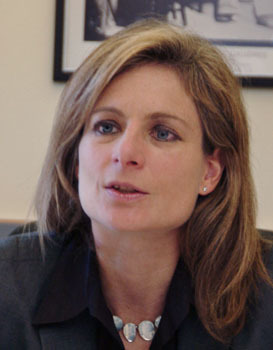 Nevertheless, most of these ideas are also consistent with current data. 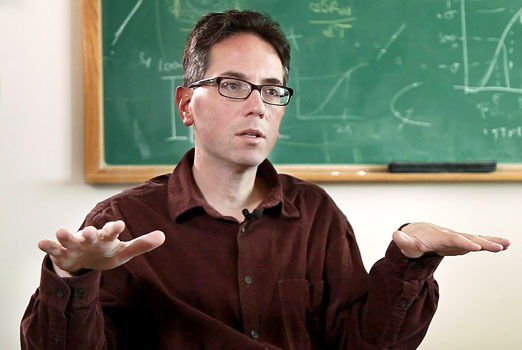 In this talk, I will first review inflation and its current observational status. I will then discuss the important theoretical targets for the future and the prospects for achieving them. Pulsars are rapidly rotating neutron stars with phenomenal rotational stability that can be used as celestial clocks in a variety of fundamental physics experiments. One of these experiments involves using an array of precisely timed millisecond pulsars to detect perturbations due to gravitational waves. The gravitational waves detectable through pulsar timing will most likely result from an ensemble of supermassive black hole binaries. I will describe the efforts of the North American Nanohertz Observatory for Gravitational Waves (NANOGrav), a collaboration which monitors an array of over 40 millisecond pulsars with the Green Bank Telescope and Arecibo Observatory. The most recent limits on various types of gravitational wave sources will be presented, and I will show how these limits are already constraining models for galaxy formation and evolution and the tension of cosmic strings. I will then describe the dramatic gains in sensitivity that are expected from discoveries of millisecond pulsars, more sensitive instrumentation, improved detection algorithms, and international collaboration and show that detection is possible before the end of the decade. 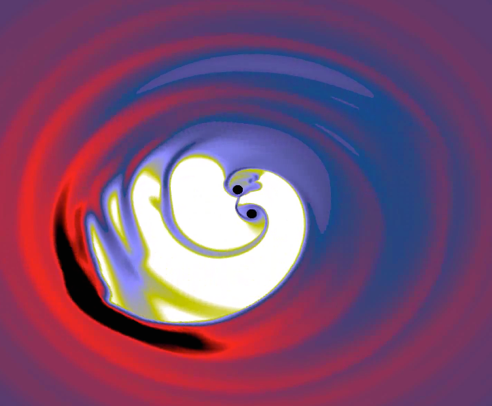 Binary black hole mergers in the presence of gaseous accretion flows are prime candidates for simultaneous observations of both gravitational waves and electromagnetic signals. I will present the results of 2D hydrodynamical simulations of circumbinary disk accretion using the moving-mesh code DISCO. 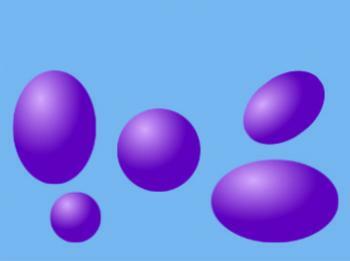 These simulations demonstrate that gas accretion is not impeded by binarity. Gas is efficiently stripped from the inner edge of the circumbinary disk and enters the cavity along accretion streams, which feed persistent “mini-disks” surrounding each black hole. I will discuss characteristic periodicity in the measured accretion rate onto each BH, with implications for the quasar PG 1302-102 which shows evidence for periodic variability, as well as the dependence of the accretion flow on the binary mass ratio. I will also discuss characteristic modifications to the spectrum which arise from shock heated gas inside the circumbinary cavity. Finally, I will discuss simulations which include binary inspiral and merger due to gravitational wave emission in order to track the changes in accretion and electromagnetic radiation as the orbit shrinks. The population of Milky Way satellite galaxies includes the least luminous, least chemically evolved, and most dark matter dominated galaxies in the known universe. These extreme objects have reshaped how we define a "galaxy" and provide a unique testing ground for both galaxy formation models and the cold dark matter paradigm. 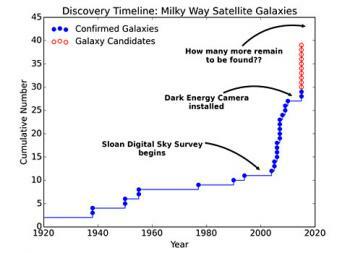 The current census of satellite galaxies surrounding the Milky Way is almost certainly incomplete. 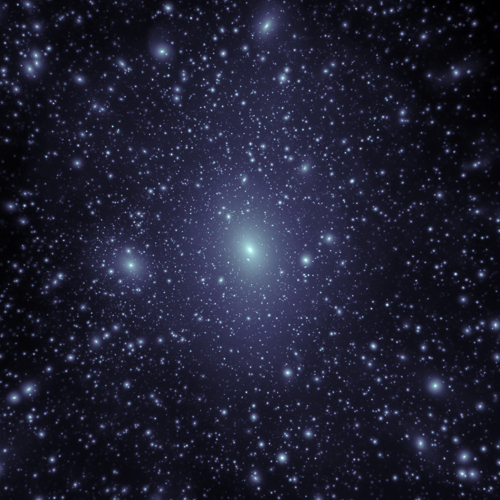 Ongoing and near-future wide-field optical imaging surveys are anticipated to find hundreds of ultra-faint Milky Way companions at lower luminosities, greater distances, and in less explored regions of the sky. A dozen new stellar systems have already been reported in 2015, and at least one these, Reticulum II, has now been dynamically and chemically confirmed as a galaxy. I will place these recent results in context and discuss how the emergent population of Milky Way satellites might enhance the sensitivity of indirect dark matter searches. 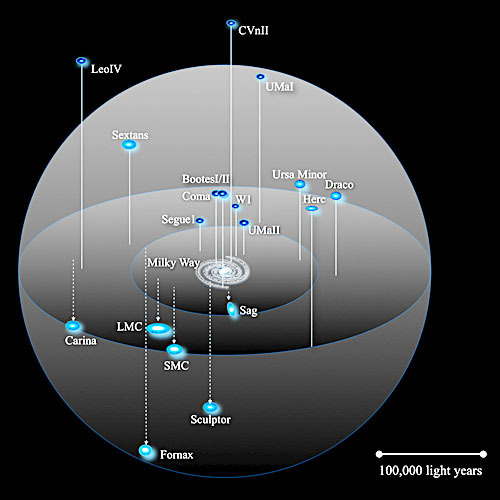 In recent years, precision measurements across cosmic time have led to a widely accepted cosmological paradigm for galaxy assembly and evolution, the cold dark matter (ΛCDM) model. Within this theory, galaxies form "bottom-up," with low-mass objects ("halos") collapsing earlier and merging to form larger and larger systems over time. Ordinary matter follows the dynamics dictated by the dominant dark matter until radiative, hydrodynamic, and star-formation processes take over. 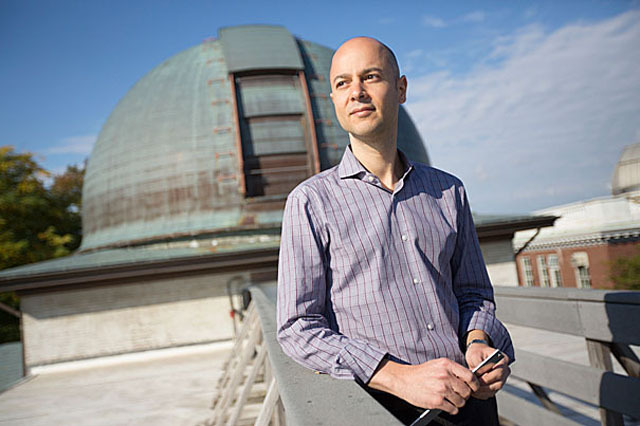 Although ΛCDM has had great success in explaining the observed large-scale distribution of mass in the universe, the nature of the dark matter particle is best tested on small scales, where its physical characteristics manifest themselves by modifying the structure of galaxy halos and their lumpiness. It is on these scale that detailed comparisons between observations and theory have revealed several discrepancies and challenged our understanding of the mapping between dark matter halos and their baryonic components. In this talk I will review some of the triumphs and tribulations of the theory. While the latter may indicate the need for more complex physics in the dark sector itself, emerging evidence suggests that a poor understanding of the baryonic processes involved in galaxy formation may be at the origin of these controversies. 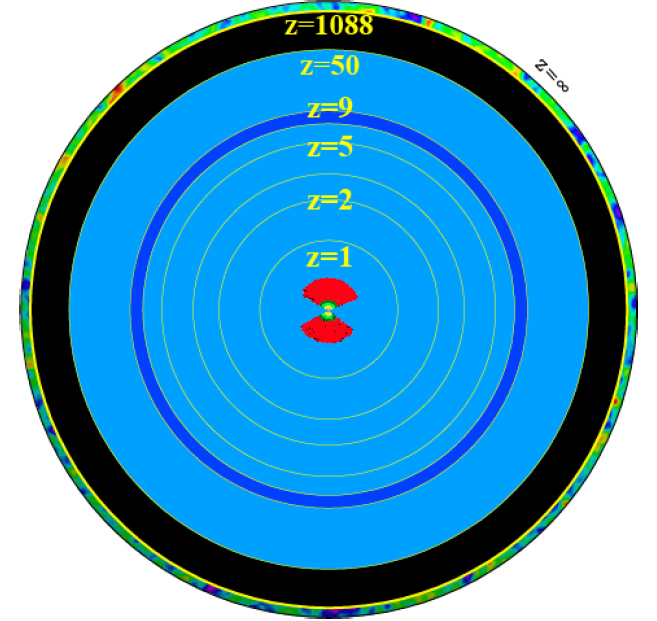 I will describe Partially Interacting Dark Matter and a possible consequence, Double Disk Dark Matter in which a dark matter disk is embedded in the baryonic disk. I will discuss possible implications and observational consequences and constraints, including implications for the satellites of the Andromeda Galaxy. 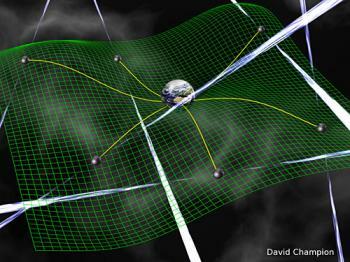 Gamma-ray bursts are the most luminous and energetic explosions known in the universe. They appear in two varieties: long- and short- duration. The long GRBs result from the core-collapse of massive stars, but until recently the origin of the short GRBs was shrouded in mystery. In this talk I will present several lines of evidence that point to the merger of compact objects binaries (NS-NS and/or NS-BH) as the progenitor systems of short GRBs. Within this framework, the observational data allow us to determine the merger rate of these systems as input to Advanced LIGO, to infer the electromagnetic properties of gravitational wave sources, and to study r-process nucleosynthesis. Short-period planets were a gift from nature that enabled the rapid acceleration of exoplanetary science. They are more readily studied than long-period planets, and their existence and orbital properties pose interesting questions. I will present the results of a search for the shortest-period transiting planets, using data from the Kepler spacecraft. The results show that 0.5% of Sun-like stars have orbiting "lava worlds": terrestrial planets with periods ranging from 4 hours to one day. 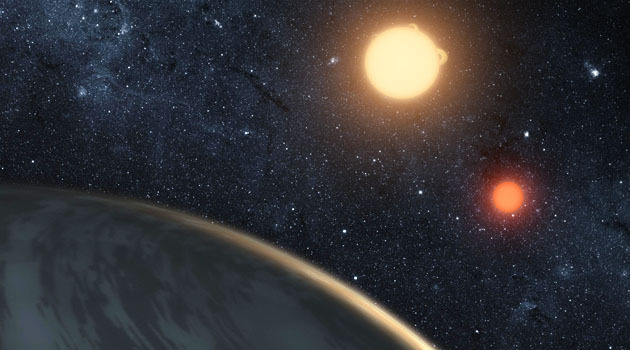 The search also revealed a new class of objects that seem to be small rocky planets disintegrating in the blazing heat from their parent stars. Finally, I will describe an upcoming NASA mission, the Transiting Exoplanet Survey Satellite (TESS), which will identify thousands of short-period planets around the nearest and brightest stars in the sky. 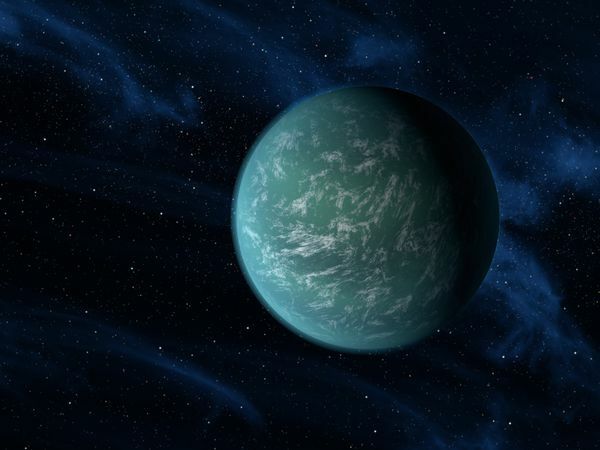 Since the beginning of the exoplanet era, the reality of planets was confirmed and their properties mapped out by their time-variable signals. From the first pulsar-timing system, PSR 1257+12, to the dynamically precessing Doppler system, GJ 876, some of the first examples of multi-planet systems were confirmed via Newtonian interactions among the planets. This business has gone industrial using the 4-year stare of the Kepler mission, with which we used transit timing variations to map out the mutual orbital perturbations, confirm systems of planets by the dozens and elucidating the class of sub-Neptune planets. Now we are using transit timing to determine masses and architectures of systems of temperate Jupiters, determine the eccentricity scale of terrestrial planets, and detect and measure masses of planets orbiting around short-period binary stars. While the dynamical calmness of this new crop of exoplanets is comparable to the Solar System, other aspects seem as weird as ever, a continued forcing function on planet formation theory. 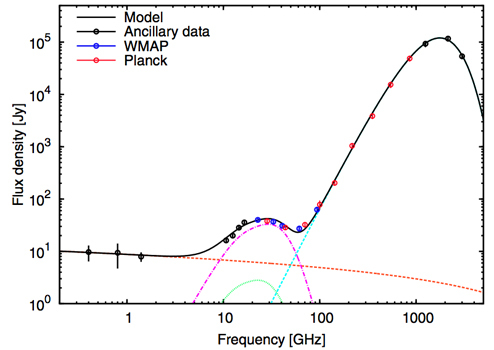 "Anomalous Microwave Emission" (AME) refers to dust-correlated emission in the 15-50 GHz frequency range that is far stronger than had been expected from the low-frequency "tail" of the thermal infrared emission from dust grains at ~20K. Discovered in the course of CMB studies, it presents a significant "foreground" that CMB observers would like to remove. In 1998 it was proposed that the AME was rotational emission from ultrasmall dust grains with rotational frequencies of 15-50 GHz. The population of polycyclic aromatic hydrocarbons (PAHs) responsible for strong infrared emission bands between 3.3 and 17um were natural candidates for the emitter. This "spinning dust" hypothesis appeared to be a very natural explanation for the AME, and was supported by upper limits on polarization of the AME. I will describe recent observational efforts to demonstrate a link between the AME and the PAHs. Surprisingly, the results do not support the conjectured AME-PAH linkage. Other possibilities for the source of the AME will be discussed. The figure shows the spectrum of a region in the Perseus molecular cloud with strong Anomalous Microwave Emission (Planck Collaboration et al 2011 Astronomy & Astrophysics 536, A20). We now have a highly successful cosmological model in place, but one which leaves many questions unanswered. What is the new physics responsible for primordial perturbations? What is the dark matter? What causes an accelerated cosmic expansion? And why is there a preponderance of matter over antimatter? New generations of galaxy surveys will continue to map the cosmic mass distribution on ever larger scales and with increased precision, while CMB experiments are beginning to map the polarization B modes from inflation and from lensing. It is never too soon, though, to think about what else can be done with these new experiments and in subsequent generations of experiments. In this talk I will discuss a variety of new early-Universe fossils that can be sought with galaxy surveys and discuss new ideas to probe primordial power on scales far smaller than those accessible with galaxy surveys. Recent observations of the high-redshift universe have characterized the initial conditions for nonlinear structure formation over the full range of scales responsible for dwarf and giant galaxies, galaxy clusters and the large-scale cosmic web. 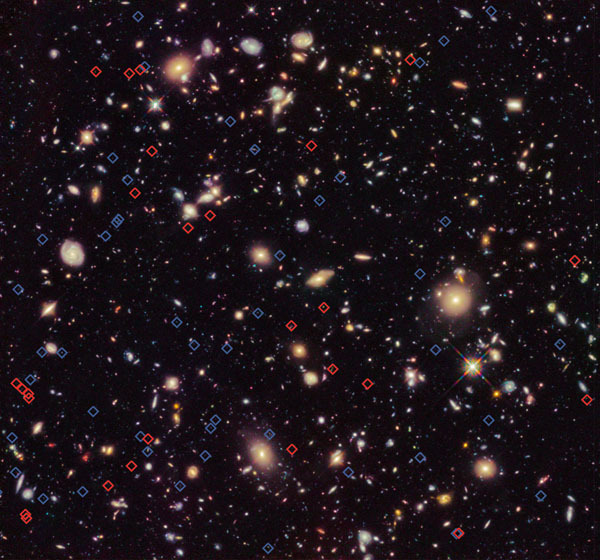 At the same time, wide-field spectroscopic and photometric surveys have measured the abundance and clustering of low-redshift galaxies as a function of mass, size, morphology, kinematic structure, gas content, metallicity, star formation rate and nuclear activity, while deep surveys have explored the evolution of several of these distributions to z>3. Galaxy population simulations aim to interpret these observations within the LCDM structure formation paradigm, thereby constraining the complex, diverse and heavily interconnected astrophysics of galaxy formation. Recent simulations are broadly consistent with the galaxy abundances and clustering seen in both wide-field and deep surveys, and provide predictions for topics as different as galaxy-galaxy lensing, the triggering and duty cycles of AGN, and the evolution of Tully-Fisher, mass-size and mass-metallicity relations. They show galaxy assembly histories to be strongly constrained by the structure formation paradigm, giving insight into issues such as internally versus externally driven evolution, inflow versus winds, major versus minor mergers, in situ versus ex situ star formation, and disks versus bulges. In addition, simulations can now be adapted to represent any chosen LCDM-like cosmology, allowing a first assessment of whether galaxy formation uncertainties will limit our ability to do precision cosmology with galaxy surveys. There have been many attempts to apply the powerful tools of statistical mechanics to self-gravitating N-body systems such as star clusters, galaxies, and planetary systems. I will describe why this is difficult, some notable failures and successes, and recent work on two arenas where these tools offer new insight: the distribution of young stars in the central parsec of our Galaxy, and the distribution of orbits of exoplanets. The cosmic microwave background contains a wealth of information about cosmology as well as high energy physics. It tells us about the composition and geometry of the universe, the properties of neutrinos, dark matter, and even the conditions in our universe long before the cosmic microwave background was emitted. After a brief introduction, I will discuss various aspects of the recently released Planck full mission data before turning to a discussion of string inspired models and the search for their signatures. Finally, I will turn to the search for primordial B-modes. 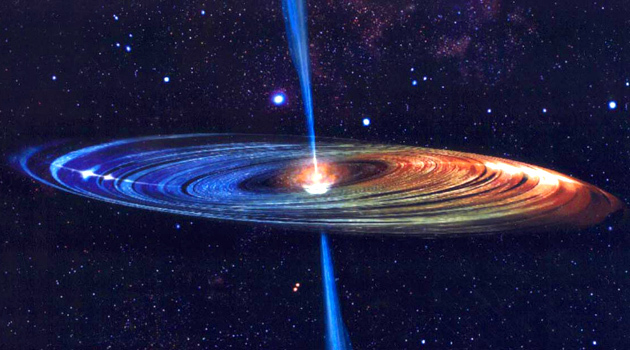 Accreting black holes are observed in a large variety of systems in astronomy: active galactic nuclei, X-ray binaries, tidal disruption events, gamma-ray bursts. 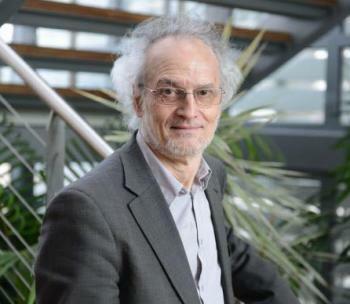 While analytical one-dimensional models have been enormously useful for understanding several aspects of accretion physics, other aspects such as the formation of jets and winds are beyond the scope of such models. Numerical general relativistic MHD simulations are able to include more physics than analytical models and are proving increasingly useful for studying the multidimensional gas dynamics and radiative properties of accretion flows. The talk will review current progress in this field.